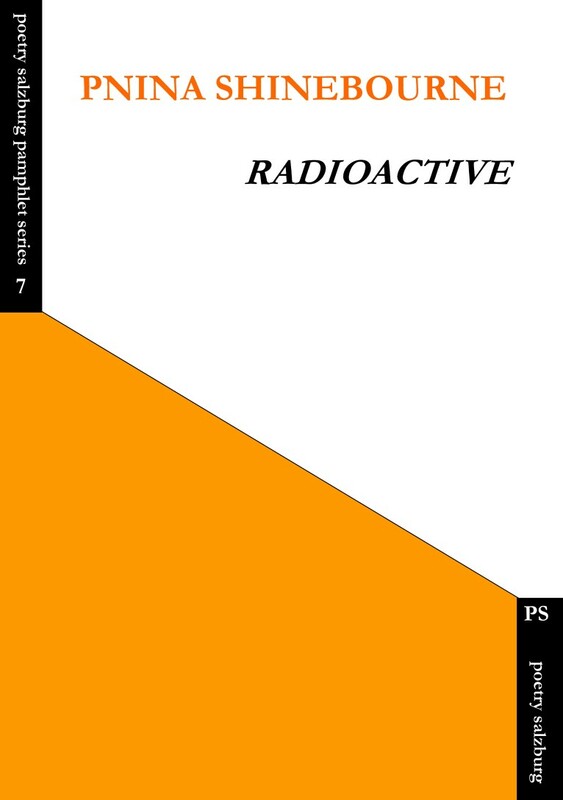 "Shinebourne tells the human story behind the discovery of radioactivity. She explores the interior thoughts, the intellectual conflicts and the joys of scientific revelation. The style is clipped, heady, energised and supple in its response to the hectic demands of the protagonists, and the language is simple and immediate in the way it handles complex scientific ideas. Shinebourne captivates us by revealing the psychological pressures that give birth to the creative process and for this alone the pamphlet is a compelling read from start to end!" "Pnina Shinebourne can rewind a love to its beginnings, pulling us through a storm of fact, emotion and discovery, taking us from the Dreyfus Affair to the Manhattan Project via radium glowing in a lecture theatre in Piccadilly. There is leaking and decay, but also refining and regeneration. She evokes the daily perils of science: 'repeat distill revise // months of labour / and nothing' which might also apply to the writing of poems. She can also bring the physical and emotional together so that they are more than a pair, evoking a past so fresh it seems to be happening right now, right here." as their bodies draw closer. plainly a green-blue light glowing. that will come to gnaw at their flesh.